In an April 3rd release the U.S. Poultry & Egg Association (USPOULTRY), National Chicken Council and National Turkey Federation circulated an updated economic impact study highlighting the positive impact of the poultry industry on jobs, wages, and federal and state revenue in the United States. A dynamic and integral part of the national economy, the U.S. poultry industry provides 1,984,784 jobs, $108.9 billion in wages, $495.1 billion in economic activity and $38.5 billion in government revenue. Since the last study conducted in 2016, the poultry industry has created 302,515 additional jobs, and the economic impact has increased by 11 percent. The chicken industry provides 1,393,739 jobs (70.2 percent of poultry industry total), $76.5 billion in wages (70.2), $347 billion in economic activity (70.1) and $27 billion in government revenue (70.1). The turkey industry provides 440,739 jobs (22.2), $24.1 billion in wages (22.1), $109.5 billion in economic activity (22.2) and $8.5 billion in government revenue (22.1). 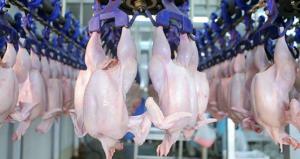 The remaining contribution was from the egg-production segment of the U.S. poultry industry. “We are pleased to continue providing this valuable tool across the industry that shows the positive economic impact the poultry industry has on our nation and communities,” said John Starkey, president of USPOULTRY.